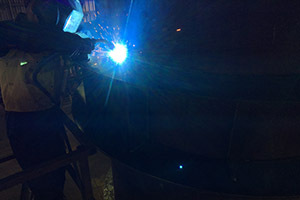 Steel Fabrication & Welding Australia. Structural Steel, Sheet & Plate Development. Welcome to JME Tumut Pty. Ltd. Eliminate time wasted on travelling, delivering of documents & drawings. Work with our skilled & advanced processes with Digital Technology putting our Workshop & Services on your Desktop. We will supply you with Quality Workmanship, assistance & profesional advice including coming to your project site, assist & discuss your equirements, site measure & provide a 2D or 3D detailed solution to your requirements. 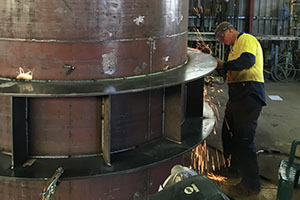 Our Team of Tradesmen are skilled in all aspects of Steel Fabrication & Site erection & have all the required Tickets for Site Work & Installation. We can Estimate & submit Quotations for all or various parts of your Project. All your Drawings can be attached to an Email & sent to us in ".dwg, ".dxf, *.ipt or *.iam format or you can Hand Sketch to paper, scan & then email to jme01@jme-tumut.com or Fax to our digital email fax number 02-69572110. Our Email & digital fax number makes sure that we receive your requirements wherever we are. We will then send you a Quotation with Total Cost & in most cases you will have your Quotation back within 2-5 days. Our team look foward to working with you on your upcoming project.